The animals went in two by two, hoorah! Ideal for the mom-to-be who loves furry critters and baby animals. Pair stuffed animals around the party area for that adorable and playful decoration. Have a lot of blue in your colour scheme for this party. Maybe a blue table cloth with a Noah’s Ark themed cake. This rain and cloud backdrop would be great for this theme! The perfect game to play at your Noah’s Ark Theme baby shower is ‘Guess the baby animals’. 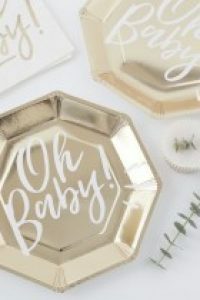 Have your guests pair up and compete in writing down the names of baby animals. The teams most writing down as many as they can in one minute. Everyone will have the typical baby animal games such as ‘kitten’ or ‘puppy’ – but who will have ‘joey’ or ‘gosling’? Remember to give the winning team a prize! 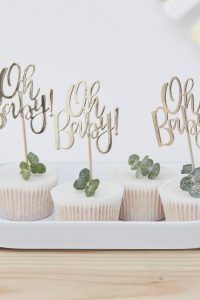 Wondering what to serve at your Noah’s Ark theme baby shower? Why, Animal Crackers of course! Make your own if you have the time! If not, pop down to the store and pick up some animal crackers there. Arrange the crackers into matching pairs and set out on your table. How adorable! Remember to pop a few into those party favour bags, keeping them in pairs of course. Expecting twins!? This theme would be fabulous! 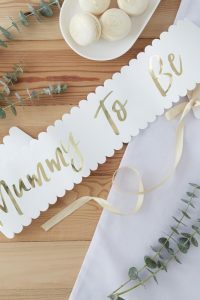 Also, check out our list of baby shower themes when you are expecting two bundles of joy here.